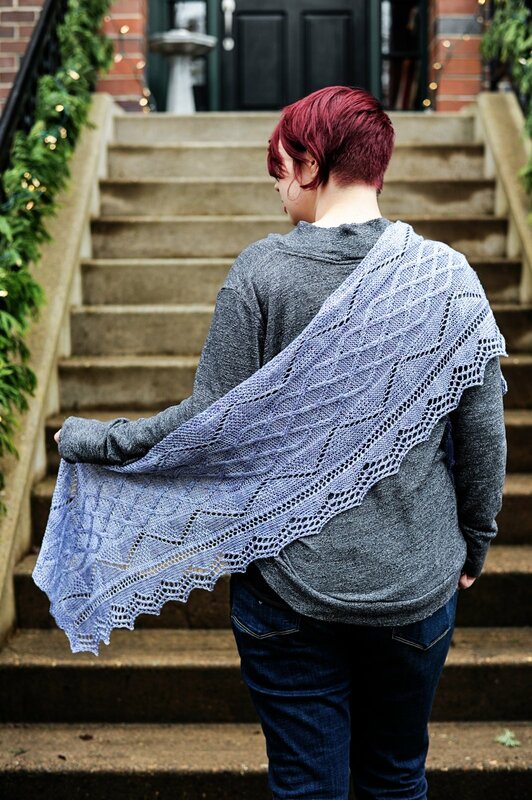 Wending cables and zigzag lace grace this lace edged wrap. Named for the Diamond Peak Mountain in Oregon, the cables, lace, and shapes will hopefully remind you of some of the majesty of the mountain and the many activities that may be found there. If you ever find yourself in the Willamette National Forest, looking for a trail to hike there is a popular one that travels the mountain. Should you be a skier, the slopes are popular in the winter. For those of us who prefer a less strenuous experience, I think the mountains photographs well too!